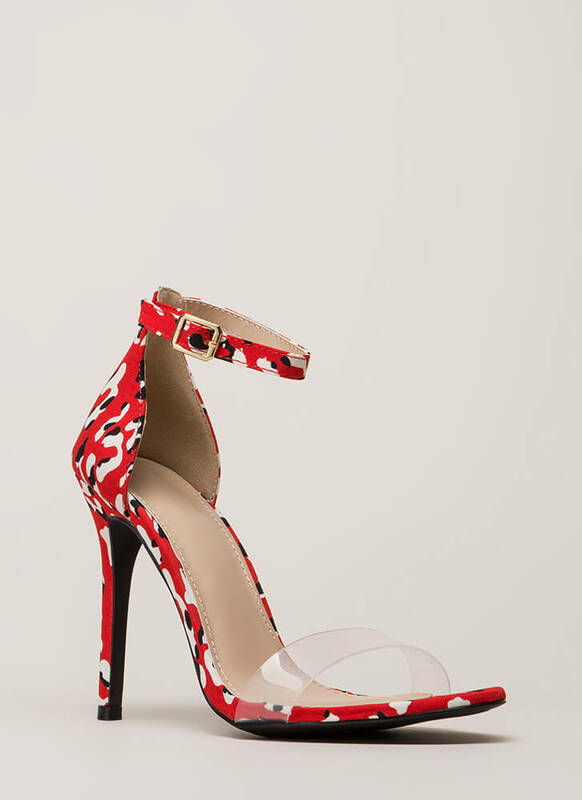 Just spotted in the wild concrete jungles: You in these fun clear strap heels! 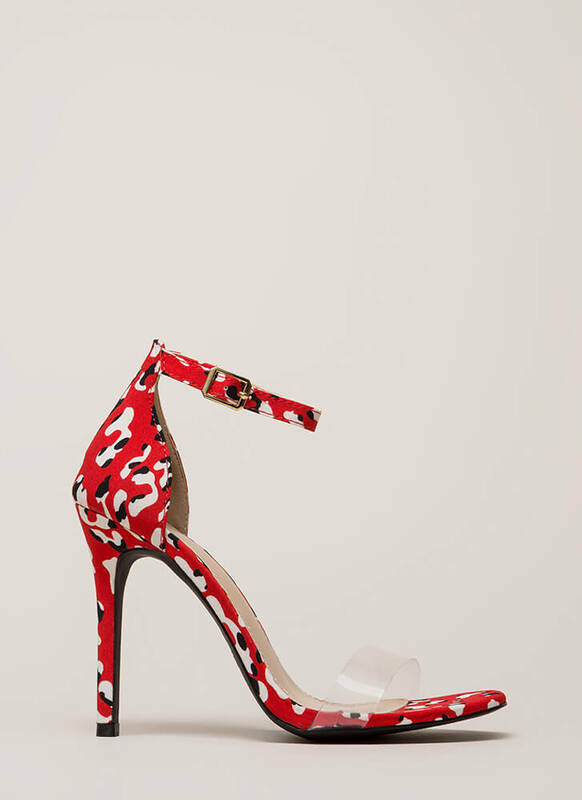 Open-toe heels feature a clear PVC toe strap, a slim ankle strap with an adjustable buckle, and an allover abstract print that resembles both camouflage and leopard or cheetah spots. 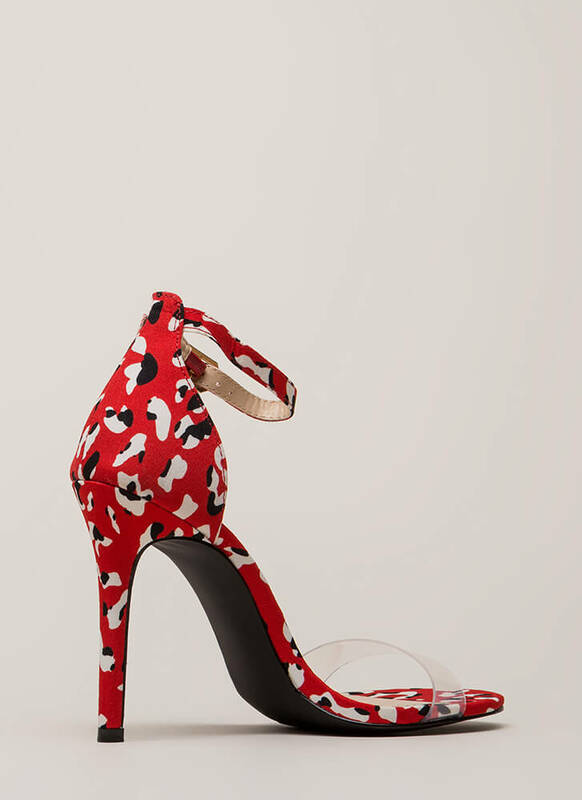 Shoes are finished with exposed sides and a ridged sole. Pattern placement may vary.